Take your child and a pet out to play. If you don’t have a pet, borrow a neighbor’s pet. Where to take the pet will depend on the type of animal. For many it might be a park. For others it could be your yard or just letting them out of their cages in the house for some free playtime. * Be sure to select a place that will be safe for the type of animal. * Be sure birds are protected from predators and from flying away. * Some pets can’t be “taken out to play” at all because moving them is dangerous to them – like fish. See more activities at Summer Activities for Children (2015), Part 1. 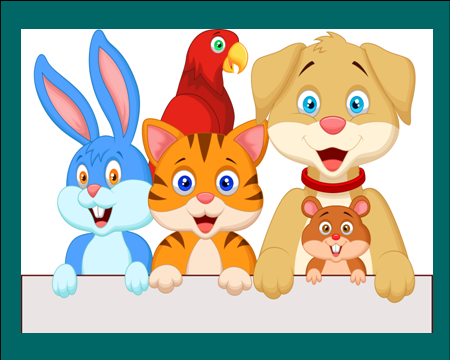 This entry was posted in Activities and tagged fun and games, pets. Bookmark the permalink.